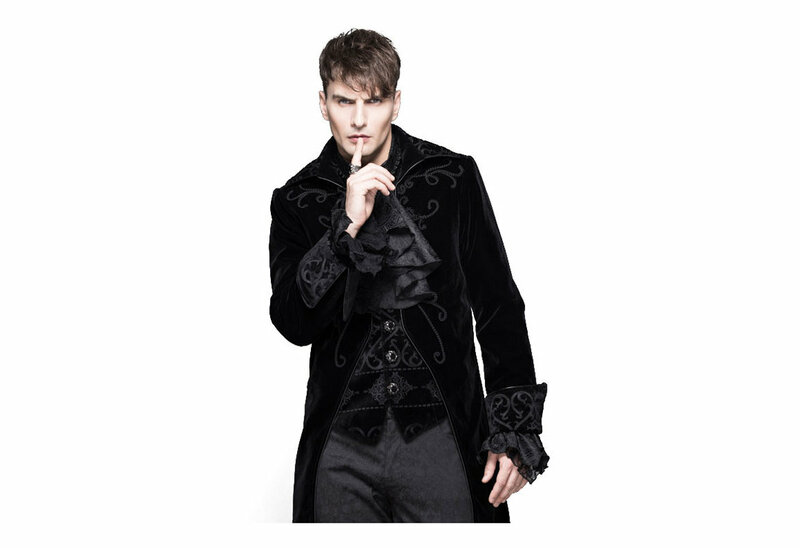 This ultra soft sophisticated looking tailcoat is absolutely amazing. 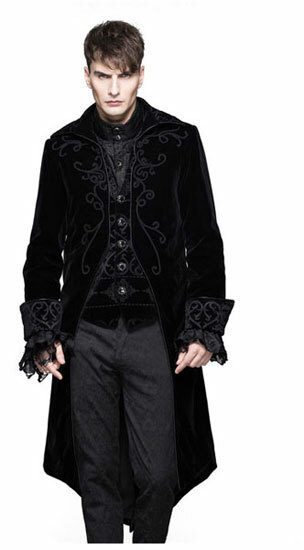 The cuffs, collar and lapels have a black on black baroque style detailing. The coat buttons up in the front with accenting silver and black enamel buttons. What are the exact items that the model is wearing and are they available on the site? 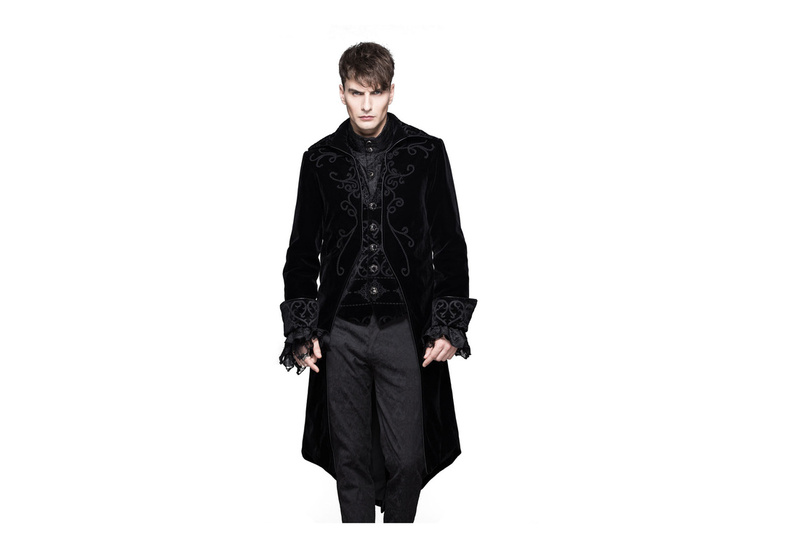 In the picture the model is wearing the Raphael shirt along with the coat. We do not carry the pants he is wearing. Answered by Blue on Tuesday 16 October, 2018. 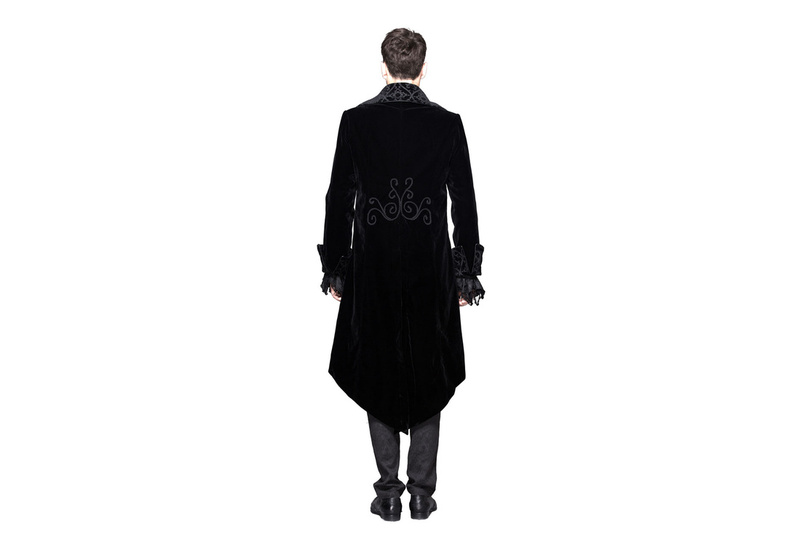 The coat is a black velvet tail coat just as advertised, it feels like its made from the best materials and it fits perfectly, but people now run from me at night.